Completion of dental school to obtain your degree (e.g. : DDS, DMD, or non-US equivalent) is required prior to enrolling in an oral medicine training program. Some programs require completion of a one-year general practice residency program. Oral medicine residency training programs are a minimum of 24 months. In the U.S., programs are accredited by the American Dental Association’s Commission on Dental Accreditation. Some programs have the opportunity to obtain other advanced degrees (e.g. : Masters or Ph.D.), and these are typically 3-5 years in length. Anil Kumar, DMD, graduated from Harvard School of Dental Medicine and then completed a one year General Practice Residency (GPR) at Carolinas Medical Center (Charlotte, NC). 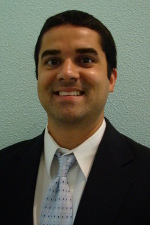 He is in the two year Oral Medicine Residency at Carolinas Medical Center. Dr. Kumar completed a GPR which involved treating inpatients and outpatients in a hospital dental clinic, treating special needs patients in the operating room, covering dental emergencies in the Emergency Department, and participating in numerous dental and medical rotations. Following this, he began his Oral Medicine Residency and had the opportunity to treat a larger number of "clearance" patients needing dental treatment prior to radiation therapy, chemotherapy, transplants, etc. Additionally, he went on rotations including: oral pathology, internal medicine, and going to Glasgow, Scotland to learn the differences between Oral Medicine in the US and the UK. In his final year, Dr. Kumar spends the majority of his time seeing patients in a private practice outpatient Oral Medicine clinic. Additionally, he is doing various two week medical rotations including: cardiology, infectious disease, nephrology, rheumatology, radiation oncology, psychiatry, and medical oncology. Dr. Kumar is currently involved in a case-control pilot study with the primary aim of determining if poor oral hygiene, gingivitis, or periodontal disease is associated with infective endocarditis. 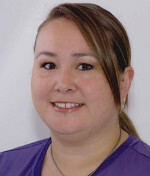 Rolanda Ward, DDS, obtained her Doctor of Dental Surgery from University of Washington School of Dentistry. She is in a two year Oral Medicine Residency at University of Washington. Dr. Ward became interested in Oral Medicine during dental school, at which time she attended many lectures, did a short rotation in the clinic, and then participated in an Oral Medicine clinical elective. Within the University of Washington (UW) Oral Medicine Clinical Services department she works one-on-one with attending faculty to intake new patients and complete follow-up appointments for mucosal, salivary, TMD, sleep-disturbance, pain, and hypersensitivity conditions. During her residency she has classes and seminars with other residents from radiology, periodontics, prosthodontics, endodontics, orthodontics, General Practice Residency, and oral biology masters and PhD students. Dr. Ward has the opportunity to rotate with dermatology, otolaryngology, radiation therapy, internal medicine, anesthesia, pain clinics, as well as the Seattle Cancer Care Alliance. Dr. Ward’s thesis project focuses on a mechanical intervention for the treatment of Burning Mouth Syndrome. 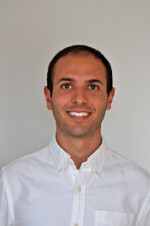 Alessandro Villa, DDS MPH, graduated from University of Milano, Italy in 2008. 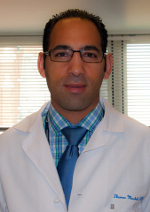 He has done postdoctoral fellowships at the National Cancer Institute – National Institute of Health in Bethesda, MD, and is in the Oral Medicine Residency program at the Harvard School of Dental Medicine and Brigham and Women’s Hospital. Current research interests include the investigation of oral disorders that may progress to malignant (cancerous) disorders. Such disorders include oral Human Papillomavirus (HPV), and graft versus host disease (GVHD). Of note, he has been able to find through his research, that over 60% of oropharyngeal cancers have evidence of HPV involvement in the development of tumors. Dr. Villa is also engaging in a study looking at costs of treatment in the field of Oral Medicine, and the pathway by which patients are referred for treatment. 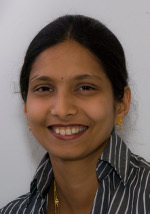 Lakshmi Mitreyi Gorugantula, BDS, MS, graduated from dentistry in India. She is in the second year of the two year Oral Medicine Residency at University of Washington School of Dentistry. 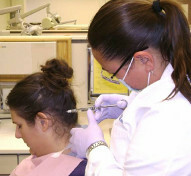 Dr. Gorugantula became interested in Oral Medicine in her final year of dental school. When she was rotating in the Oral Medicine clinic she saw a patient who complained of “stabbing, sharp pain” in the upper left mouth quadrant, who went to see many dentists before going to the clinic. She had received multiple treatments, which included root canal treatments, apicoectomies, and tooth extractions; without relief from her pain. The attending doctor diagnosed the patient with a condition called ‘trigeminal neuralgia’. Dr. Gorugantula helps to teach third- and fourth-year dental students in the Dental Urgent Care Clinic, where the students do basic assessments of new patients and also perform emergency dental treatment for patients. She enjoys teaching, and her goal is to educate the students that there are structures in the oral cavity other than the teeth, that there are many conditions that could cause tooth pain, and that an accurate diagnosis is of paramount importance. She believes that this teaching opportunity not only gives the residents an opportunity to help the dental students to become better diagnosticians and better clinicians, but it also helps the residents to become better academicians as well. Dr. Musbah’s training program at University of Pennsylvania includes working at four different clinics and the hospital, along with lectures, journal clubs and presentations. Off service rotations include neuroradiology, otolaryngology, internal medicine, oncology, anesthesia, phlebotomy, pain medicine, dermatology and oral and maxillofacial surgery. In addition, there are graduate studies and classes in oral pathology, microbiology, biostatistics, endodontic, head and neck anatomy, oral and maxillofacial surgery, pharmacology, and radiology. 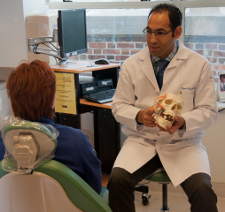 Teaching responsibilities including supervision of pre-doctoral dental students in the oral diagnosis, emergency and medically complex clinics at the University of Pennsylvania School of Dental Medicine. 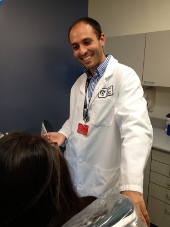 Upon completion of his residency program, Dr. Musbah plans to pursue a position in an Oral Medicine department at a university or academic medical center, and engage in the clinical practice of Oral Medicine.